We will be starting our regular and frequent Design Team blog entries in about a week. I'm looking forward to what is coming to the blog; I've gotten a sneak peek at a bunch of the projects, and they are all fabulous! In the meantime, though, I don't want you to get too bored and go away, so I've prepared a little something for you. • Cut the white curly bracket in half. Discard half. • Fold the butterfly in half, at a slight angle so the top of front wing lies a little lower than the back wing. • Glue wings to back of the crawling baby. Curl the front wing forward. • Glue hair to the top of the head. • Glue curly bracket to the more extended hand of the baby. 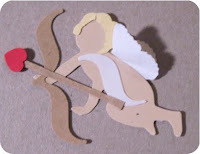 • Glue the heart to the strip of card stock to form arrow. • Glue the white half-bracket onto baby to form sash. • Glue arrow across bow and second arm of baby. • Insert the strip of paper into the punch from the bottom rather than from the side. • Insert the strip into the punch as normal, but align the punched end a little more than half-way across the punch. • Glue the two white curly brackets onto the football to form stripes. Trim at the edge of the football. 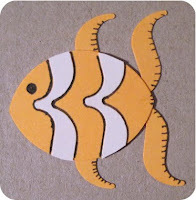 • Glue one of the orange curly brackets onto the back of the football, between the two stripes, to form fins. • Glue the other orange curly bracket onto the back of the football, at the tip to form a tail..
• Use the black gel pen to trace along the white stripes. • Use the black gel pen to draw an eye. • Use the black gel pen to add little hash marks on the fins and tail. * Cut about 1/4” off two sides of the 1 1/4” circle, making a rectangle with rounded ends. • Cut two individual petals off of the daisy, rounding off the cut end. • Using the 1” circle punch, punch the 1”circle in half, making a football shape. • Trim the foot of the square brackets to form a triangular shape at the end of the stem. • Use the black gel pen to color the triangle and the portion of the stem next to it. • Cut little slits in the “tail” to form hair. • Sponge artprint brown ink around all of the white parts EXCEPT the 2 1/4” circles. • Sponge additional artprint brown ink on the 1 1/2” circle to form cow spots. • Fold the daisy petals slightly to form ears. • Glue two of the square brackets together to form a front and rear left leg (point the triangles at the foot toward the left.) The rear leg should be higher, and behind the front leg, sticking out slightly toward the left. • Glue two of the square brackets together to form a front and rear right leg (point the triangles at the foot toward the right.) Try to align similarly to the other leg pair, but have the rear leg stick out toward the right. 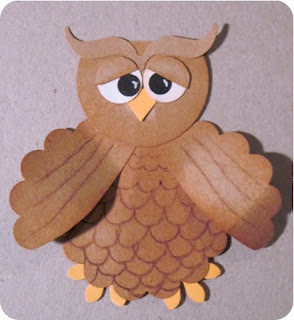 • Glue the leg pairs to the body circle (1 1/2”) so that they extend beyond the circle by about 1 1/4”. • Glue the tail in place on the rear of the body circle, sticking out to the right. • Glue the football shape at one end of the head (the 1 1/4” circle which has been squared off) to form a snout. • Glue the 1/4” black circles to the snout, centered vertically, and about a quarter inch apart horizontally, to form nostrils. 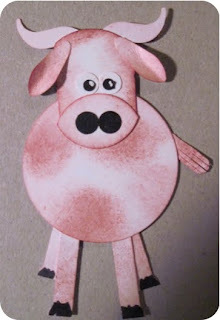 • Glue the 1/4” white circles just a little above the snout. They should be glued so they are touching. • Glue the 1/8” black circles onto the 1/4” white circles. Using the white gel pen, add highlight marks to the black circles. • Glue the daisy petals in place at either side near the top of the head to form ears. • Glue the curly bracket behind the head, very close to the top, forming borns. • Cut 1 of the scalloped circles in half. Trim if desired to form wings. • Trim about 1/4” from one side of the 1 1/2” craft circle, making a flat edge. 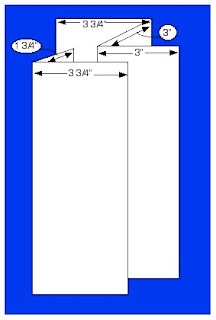 • Cut the 1/2” craft circle in half. • Cut the orange flower in half. Remove 1 petal from each half. • Sponge brown ink around outside edges of all brown or white pieces. • Draw “feathers” on whole scallop and wing pieces as desired. • Glue wings to front of chest, attaching only near the top of the wings. • Glue head to chest with the flat edge on top. • Glue bracket to top of head to form ears. • Glue white circles below the bracket, making sure they touch each other. • Carefully glue beak into place, inserting under the white circles. • Glue black circles onto the white circles, making eyes. • Glue the craft half circles over the eyes, making lids. • Use the white gel pen to draw highlights on the eye centers. • Glue the partial daisies at the bottom, from behind the chest piece, to form feet. I hope I've inspired you, a little bit, to look again at your punches and see if you can find some things hiding! We told you that exciting things were coming, and they are about to arrive! We have selected 8 talented full-time contributors for the design team at FranticStamper, plus a team facilitator. 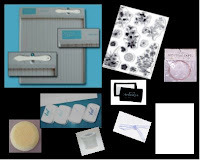 Over the next year, starting in March, these contributors will be filling this blog with varied and exciting projects using products available at www.franticstamper.com. We hope you will enjoy what these amazing artists have to offer! We would like to allow the members of this first-ever FranticStamper Design Team to introduce themselves. Hello! I am Anne Harada. I was born and raised in Albuquerque, NM and lived there for over 40 years! I now live in Ft. Worth, Texas with my best friend and husband, Carl. Our daughter, Leslie, and granddog live in nearby Grapevine Texas. I work full-time for a software engineering company as the only woman in a 40-person office! My passion for stamping and paper crafting is surpassed only by my love for God and my family. I have been incredibly blessed and I am grateful that I can share my enthusiasm for this craft with others whenever I get the opportunity. 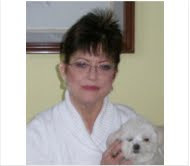 My name is Debi Wind, I am single with no children but have a Maltese named Peanut who is definitely a sweetie and is my "child". I moved to Louisville, KY from Kansas City, almost 6 years ago, to be closer to my aging mother. To me Kansas City will always be home. My alma mater is the University of Kansas...Rock Chalk Jayhawks, go KU!!!!!!!!!!!!!!!!! Although my art is my #1 love, I am a huge NASCAR fan and my favorite driver is Kevin Harvick. I am, also, a huge motorcycle fan and the day it turns warm enough to ride my friends and I hit the road. I am, also, active in church, volunteer as a tutor, and am active in the Kentucky Calligraphy Guild. 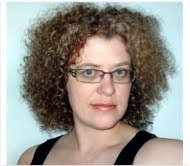 Hi Everyone, I'm Erika Taylor and I'm ecstatic to be working with Frantic Stamper. Let me tell you a little about me. My wonderful and ever encouraging husband Mark is my biggest supporter and fan. He is the first one to see anything I create and always lets me know that he is proud of what I do and who I am. We have two zany and crazy children. Morgan is 2.5 and Markus is 5. You can often find both of them in my craft space with me stamping away. Small town Saskatchewan is where we hang our hats right now and we love the peace and quite of rural living. 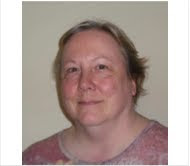 Hi, my name is Joanne Wardle. 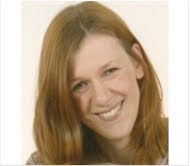 I live in Yorkshire in the UK with my husband and two sons aged 12 and 8. I work two nights a week as a radiographer, which thankfully leaves me enough time to craft. Hi. 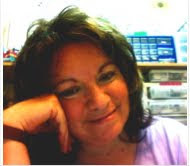 I’m Kathy Berger, and I am acting as the facilitator for the Frantic Stamper Design Team, as well as an occasional contributor. I live in Livermore, California, work part time at the National Lab as a computer scientist, and teach karate a couple of days each week. I’ve been married to Bob since 1987. We have a daughter, Beth, who is 18 and a freshman at the University of California, Santa Cruz. In my spare time, I stamp, read, and take care of a menagerie of the world’s wackiest cats. My name is Kris Hankins. Although I am a native Californian, I have spent most of my 28 married years living in the Midwest, Southwest, and now Louisiana. My husband and I enjoy spending time with friends and family, and our sweet dog Holly. Our favorite get away is almost always the beach. I am an avid gardener. You’ll frequently find me in my yard getting my hands dirty. I love to swim, play card/board games, and enjoy architecture, home decorating, and many forms of art. Hi! 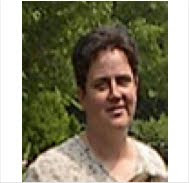 My name is Lis (short for Lisabeth) Whiting. I grew up in upstate New York and am now living in Southern California. I have two sisters. Lorraine lives in New York. Livia lives in Southern California. We get together each week to grocery shop and do other things. Its great fun. I have one 10 year old kitty named Ike. He is orange, with a cattitude! I love him dearly. 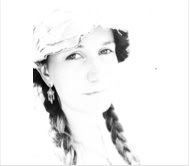 I’m Pauline, aka Polinka, 27 years old and living in Saint-Louis, France. I would love to have children someday soon, but in the meantime I am enjoying time with my boyfriend and family. I’m a happy auntie to 4 young childrens, that I love to scrapbook : Théo, Clara, Noah and Alessio. I also have a cute little cat called Dobby, like Harry Potter's house elf. 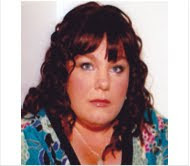 My name is Sharon Jeffs and I come from South Australia. I live with my two daughters, Emma (14), Sarah (10) and my husband Matt. I work full time as a school teacher in a fairly classroom of year 6 and year 7 students and absolutely love it. When at home I tend to spend a great deal of time avoiding house work by either creating in my scrap area or reading. Most days seem pretty hectic in my household, from feeding our menagerie of pets (we have 3 cats, 2 dogs and 5 chickens) and getting organised for each days classes to getting kids to dance classes and netball games. One of my alltime favourite ways to relax though is to lie down with my Blue Russian cat Mistoffeles (who I adore) and have a cuddle. We are still getting things lined up for our exciting new adventure here at Frantic Stamper Happenings, but in the meantime, to keep you coming back for more, I thought it would be fun to give you another little preview of things to come. I hope you'll enjoy it. When the card is opened the image in the circle almost magically changes to a different image! • Score the card back, in landscape orientation, at 3” and 6”. Score the card front in portrait orientation at 1 3/4”. 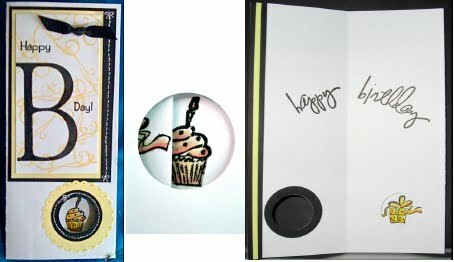 • Use the edge of the folded-back panel of the front of the card as a guide to punch a 1 1/4” circle in the card front. 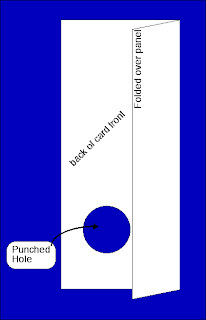 The hole should line up just to the left of the edge of the folded panel, and should be punched into the card as far as the punch will reach. 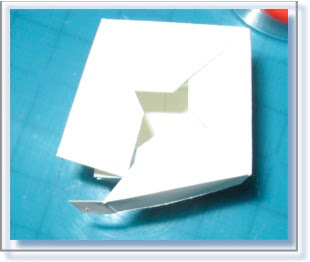 • Align the right edges of the back and front of the card. 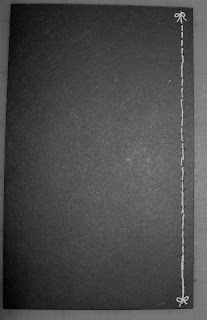 Using a pencil or disappearing ink pen, trace the punched circle from the front of the card onto the front of the first layer of the card back. 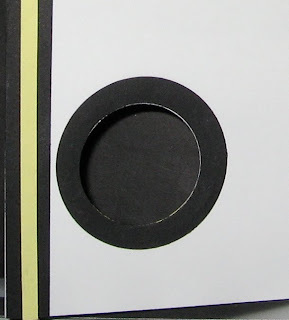 • Punch the 1 1/4” circle through both of the top two layers of the card back, carefully, punching out exactly over the circle traced from the card front. • Using a pencil or disappearing ink pen, lightly trace the circle onto the inside of the card back. Open the card. 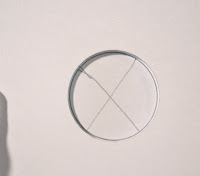 Lightly trace the circle onto the panel that slides into place. • Open the card to find the traced circles. Stamp images in the traced circles and color. If pencil was used to trace the circle, carefully erase the pencil. • With a paper piercer and using a piece of plastic canvas as a guide, pierce a line of holes along the edge of the black layer. Draw lines between the holes with the white gel pen. Attach the black layer to the card front, centered at the top. 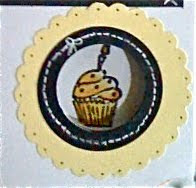 • Attach the yellow scalloped ring to the card with the holes centered on the hole in the card front. Using the black gel pen, add a little dot to each of the scallops. Attach one black ring on top of the yellow one. Add drawn stitch lines to the black ring with the white gel pen. Draw little bows to finish the faux stitching. • Attach the other black ring to the inside front of the card. Add the black strip and then the yellow strip on the inside left of the card. 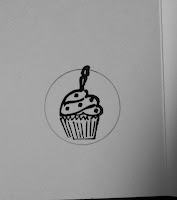 Stamp the “Happy” and “Birthday” on the inside of the card using black ink. • Turn the card over to the back side. Open up the back of the card. Close to the fold, apply a narrow line of adhesive or glue. • Close the card and turn it back over. Attach the ribbon, which has been tied in a knot, to the card front. • The card is finished. Mail it in a standard A10 business envelope. Exciting things are coming this way! Hi! 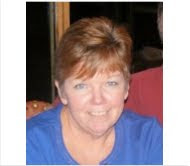 My name is Kathy Berger, and I am "guest blogging" for Fran today. I wanted to give you a heads-up that new and exciting things are coming to this blog. Be sure to stay tuned, and let your friends know, too! As a little teaser, here is a fun project for you to try. There just might be more stuff like it in the near future! This 2"x2"x2 1/2" box appears to have a separate lid, but in fact is a single piece whose lid opens and closes almost like magic! 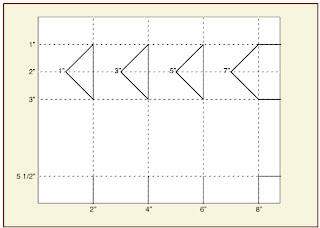 With the card-stock in the landscape orientation on the Scor-Pal, score at 2, 4, 6, and 8 inches. Turn the card-stock to the portrait orientation. Score at 1, 2, 3, and 5 1/2 inches. Fold on all score lines. 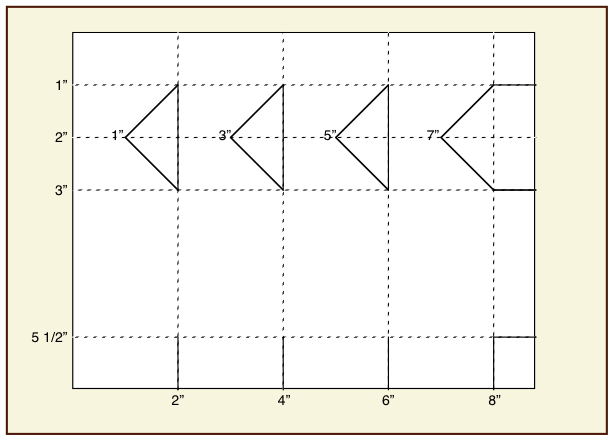 Cut as shown in the figure below; all solid lines are cut lines, while dotted lines are score/fold lines. 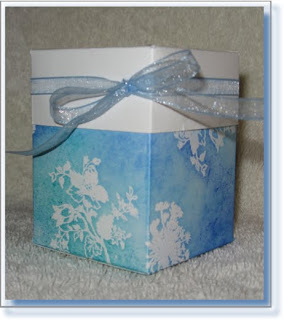 White emboss, using the Versamark ink and your choice of Botanical stamps, randomly on the portion of the box form that lies between the 3" and 5 1/2" score lines. Sponge the various blue Vivid inks over the same region, covering all of the white card stock. 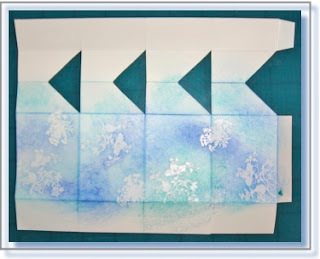 Use a tissue to wipe the ink off the embossed images. First, valley fold the top one inch panel forward, covering the top half of the cut out triangles. Then mountain fold (away from you) on each of the vertical folds, forming a squared tube. Use strong double-sided tape on the 1/2” wide, 2 1/2” long tab to adhere the tab to the inside of the tube. Next, fold the bottom panels in to create a bottom for the box. Use strong double-sided tape to adhere the two outermost panels to the two inner panels. Carefully push down the top of the box. As you do the lid will reveal itself. Once the top is all the way down onto the rest of the box, use red liner tape to attach the small tab to the inside of the lid. Leave enough space when attaching the tab so that the “lid” to move easily up and down over the remainder of the box. Use a small piece of strong double-sided tape to attach the ribbon to the side of the lid, simply as decoration. Tie a ribbon into a bow. I hope you've enjoyed this project. Check back often for more information on what is coming to Frantic Stamper Happenings.